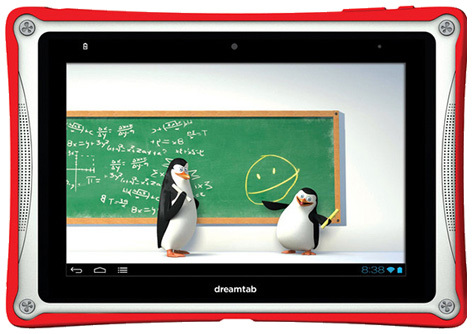 DreamWorks, the well-known California based film studio launched its very own DreamTab kids tablet in early 2014. Designed by US tech firm Fuhu, the device is available in both 8 and 12 inch screen size versions and works via the popular Android platform. Packed full of child friendly features including the ever important parental controls, Fuhu’s Wings Learning System is a key part of the embedded software. DreamWorks' own animators have created a stunning video art lesson that’s also included as part of the DreamTab package. Kids can use a dedicated app store to purchase games, films and e-books as well as music. Nabi Play features a huge choice of children’s TV shows from companies like Nickelodeon, Cartoon Network, Disney and DreamWorks own portfolio of titles. The head of digital strategy Jim Mainard said, "The DreamTab posed a compelling challenge not only to our filmmakers and artists to create content for this new medium, but also for our engineers and innovators who worked hand-in-hand with the Fuhu team to develop the consumer-facing side of this ground-breaking technology." Please tell us what you think of the Dreamtab.